If you are using an obsolete HR software at your business place, it’s high time that you go for a change and opt for a new one. For any business, no matter how big or small they are, outdated software has no place as it directly affects business productivity and growth. If it is witnessed that the employees aren’t happy or satisfied with the current framework and is damaging the whole scenario of work, it’s best that the company go for upgrading or redesigning the current HR framework. However, one must be cautious on the HR software implementation as one wrong step directly leads to great failures and misfortunes. It should be understood that no HR software implementation is a plug-and-play process rather it revolves around with a lot of investigations and research for crafting a fine-tuned HR software for the business. The software has to be crafted in accordance with the business need and workflow. A tailor-made software can only help in achieving the desired productivity and business growth. Therefore, the whole process of selecting and building the HR software can run to months or maybe years, making it expensive and strenuous. 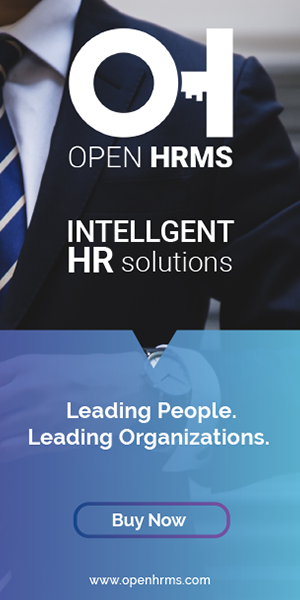 But it is as essential that every business organization take the HR software implementation with great consideration and care so as to assure positive result of its usage. There is a wide range of components to oversee amid the HR software implementation procedure. This blog defines you with 5 considerations that you need to look upon while moving towards your HR software implementation. The aforesaid are the key contemplation's to remember before the HR software implementation. Let us take one by one. Over budget and past your “go-live” date, are the two factors that always disappoint the business management. Same with the case of implementing a human resource management software. There are two advantages that a business can avail from staying on time and within budget. The major advantage is that it makes everyone happier and well-balanced, secondly and most importantly it helps with the strategic utilization of resources to further developments concerning the business organization. It should be taken into consideration that you work in a little possibility -spending plan as a cradle, say 10 percent or thereabouts. Your financial plan ought to be set up once you pick a merchant. Priory knowing of the real cost of the HR software will help you with better budget planning. You will get an idea of whether to proceed with the framework or not. Nonetheless, there are various distinctive factors that can emerge amid the implementation venture, influencing budget and time say the labor, technical issues, and customization's, etc. The best thing to do is frame a complete project plan detailing the scope of work, the objectives your company envisions to achieve, your estimated spending plan for the implementation and the timeline you are ready for. Detailing all this will help you to remain on track rather subjecting to alterations every often. The proper documentation can help the software partners in working in accordance with the reported objective, minimizing confusions and differences in the implementation project. As the functionality is sorted in advance, it evades further last minute-changes that could affect the business budget plan. It is essential that your business organization conduct a crucial assessment of the proposed HR software implementation to curb unnecessary expenses. This includes representing all potential outcomes, for example, choosing between on-premise and cloud software deployment. Get workers, the genuine end-clients, associated with the usage procedure at the earliest opportunity. You'll get a basic point of view from both administration and individual supporters. Make certain to incorporate key offices all the while, for example, IT, finance, account and enlisting. There will be a large group of changes to impart to representatives in all offices, so having inter-department acceptance is critical. The incorporation of groups outside of your HR division and upper administration will help with keeping up other key contemplation s also. It is favored that you incorporate constructive feedback from the employees to monitor the progress and evaluation of the HR software implementation process. In order to turn the upcoming training session easier, post the launch of the software, it is mandatory that you get the feedback from the concerned department leaders of your business organization. This practice helps in keeping the employees satisfied with each step of implementation, assuring best productivity thereafter the launch of the software. While dealing with the HR software implementation in your business place, it is ideal that you finish the implementation process step-by-step rather going in one set go. The benefit of finishing it phase by phase is that the employee can survey each implementation stage, give constructive feedback's, and assess the condition and more. On the other hand, if the implementation is held in one stretch, the output can be seen only after launching the software. Any major error or limitation in the software can lead to great threat and headache to the business organization, as it calls for double work along with resource wastage. A staged execution eliminates all these woes. Prioritizing the requirements or prerequisites in each step helps the HR management, workers and other key partners to comprehend the framework better. When working with sensitive data like employee information, one should be really cautious. All the data pertaining to the employee like his personal contact details, salary, insurance benefits, job history, everything should be kept confidential and must not be undermined or compromised during the implementation stage. Therefore to protect the employee data, take the help of your IT division. Utilize their aptitude and work in conjunction with your IT resource throughout the implementation phase. The IT division can guarantee that your information’s are defended from any sort of erosion or misplacement. Ensure your group has an arrangement set up for the sponsorship up and safe exchange of worker information housed in your HR software. Amid Human Resource Management system implementation, make basic inquiries about the security of the chosen framework so as to assure the data security concerning employees. 1. What amount of help is senior administration giving? 2. Could any forthcoming projects push this implementation to the back burner? 3. Which departments inside the organization might be more impervious to this change than others? 4. Should any progressions or modifications be made on to the HR framework to help the company work execution? This rundown shows some all-inclusive dangers that can emerge amid the HR software implementation at your workplace. Moreover, there could be more different risks explicating to your organization. Your business' attention to these dangers will be critical to the achievement of the venture.